Michele Ferrero was born on the 26th April 1925, in Dogliani, Piedmont, Italy, and was a businessman and industrialist, who was probably best recognized for being the head of a family company named the Ferrero Group, which is known for its chocolate products such as Nutella, Ferrero Rocher, Kinder chocolates, Tic-Tac mints, etc. His career was active from 1949 to 1997. He passed away in February 2015. So, have you ever wondered how rich Michele Ferrero was? According to authoritative sources, it was estimated that the total size of Michele’s net worth was over $26.7 billion, making him the richest Italian in 2014. This amount of money was accumulated through his successful involvement in the family business. Additionally to that, he was named “the richest candyman on the planet” by Forbes. 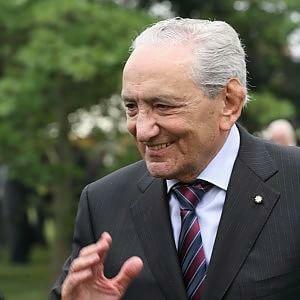 Michele Ferrero was born to Piera Cillario and Pietro Ferrero, who was the owner of a small café and bakery in Albi, but which Michelle eventually developed into the sweets (candy) company named the Ferrero Company. Information about his education is unknown to the media. However, Michele’s career didn’t really begin until 1949, when he joined the family business. Little by little, under his management the company became one of the largest confectionery companies in Europe. He re-launched his father’s recipe as Nutella, and introduced several new new products which became popular with the populations around Europe, and soon enough he expanded into the market around the world, which had a huge influence on his net worth. Until 1997 he was the sole CEO, after which he appointed his sons Giovanni and Pietro to co-lead the company; Pietro died in 2011, leaving Giovanni in charge of the company. Some of the most famous products from the Ferrero factory now include Ferrero Rocher, Nutella, Raffaelo, Tic-Tac, Kinder Surprise, Kinder Chocolate, Kinder Bueno, Ferrero Küsschen, Mon Chéri and Kinder Joy. Many of the aforementioned ‘candies’ are popular worldwide, to the extent where according to sources, the firm has profits of more than $9 billion per year, which only added a substantial amount to Michelle’s net worth. When it comes to speak about his personal life, Michele Ferrero was married to Maria Franca Fissolo until his passing, with whom he had two sons – Giovanni, a novelist who is currently the CEO of the company, and Pietro Jr., who died of a heart attack during a bicycle ride which in South Africa in 2011. He\\Michelle was known as a very generous philanthropist, as he founded the Ferrero Foundation in Alba, Piedmont, in 1983, which promotes education and knowledge. Michele passed away at the age of 89 at his residence in Monte Carlo on the 14th February 2015. Children Giovanni Ferrero, Pietro Ferrero Jr.